Two creatures come out of the shadows, nd a bag of earth and start to play with it. 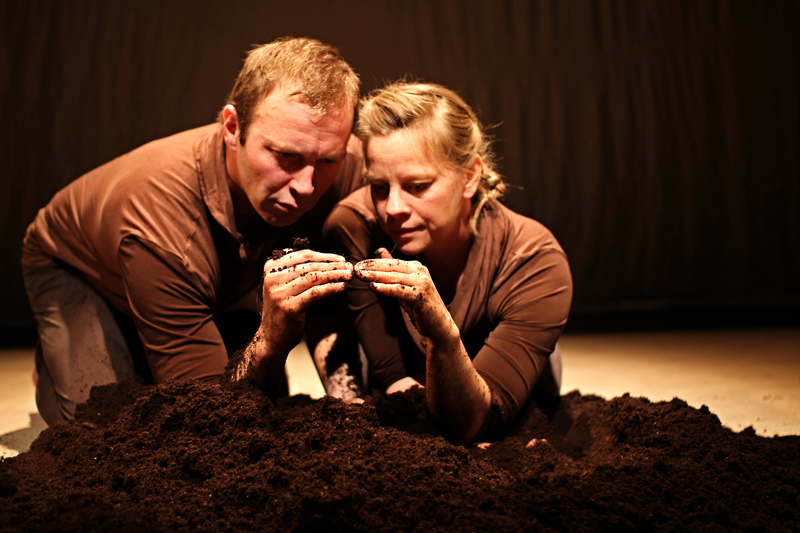 The youngest audiences will laugh out loud as the two characters taste the mud, play with it, create animals, lands, life and love out of the mud. The older audiences will read the same story on a di erent level; they see the history of creation of Man, Darwin’s theory of evolution, how land is divided, borders made up, the cause of wars and how through laughter and playfulness we can make peace and heal wounds. A story about the circle of life.